Handicrafts are what you’ll be shopping for in your Leh-Ladakh trip, we promised, and you’ll be heading back home with jams, shawls, jewellery and what not! Woollen clothes and accessories are excellent here. Don’t forget spices and dry fruits! Pashmina shawls and turquoise Ladakhi jewellery are special attractions amongst tourists. 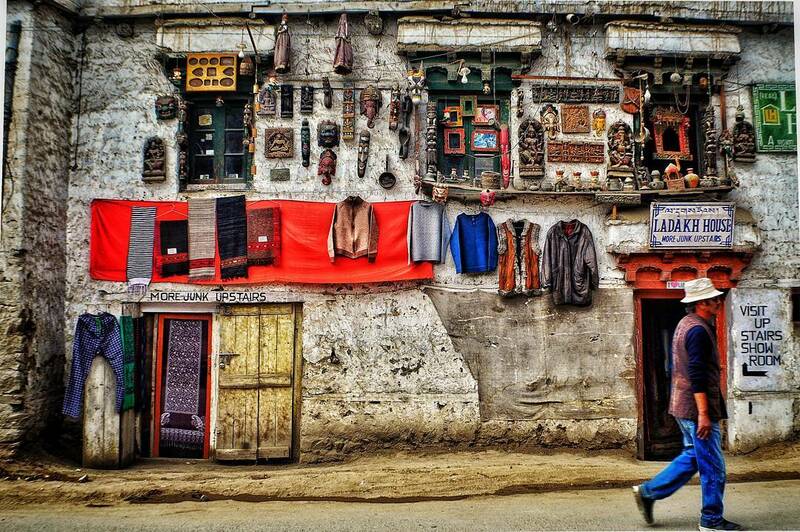 Strolling down the charming bazaars and shopping in Ladakh is an experience in its own which you shouldn’t miss out on. You can easily spend hours browsing through the various items on display, awe-struck by their beauty, elegance, and colours. Ladakh is popular for its locally handcrafted goods such as garments, souvenirs, curios, art pieces, and much more. 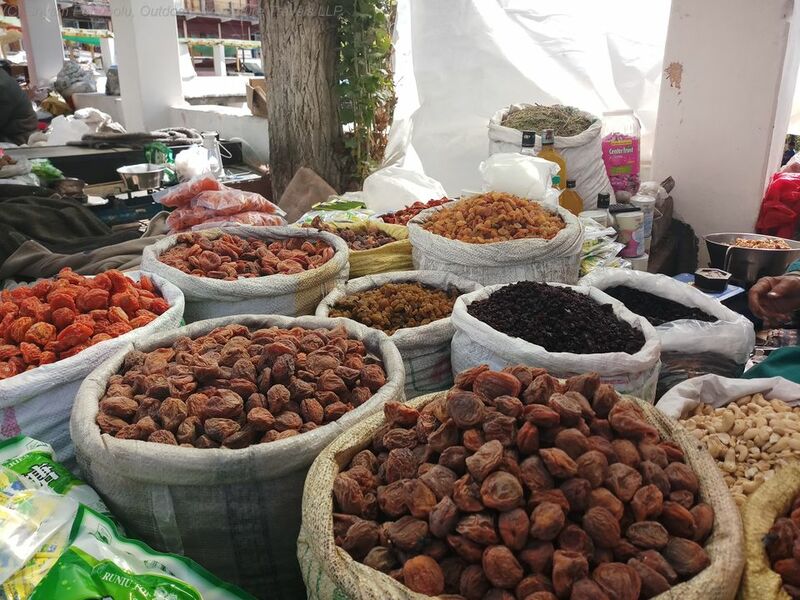 Whether you are a fashion lover, an antique collector, or a bike fanatic taking a bike trip to Ladakh, your Ladakh tour will be incomplete without shopping at the local markets and bringing back souvenirs to remind you of your trip. 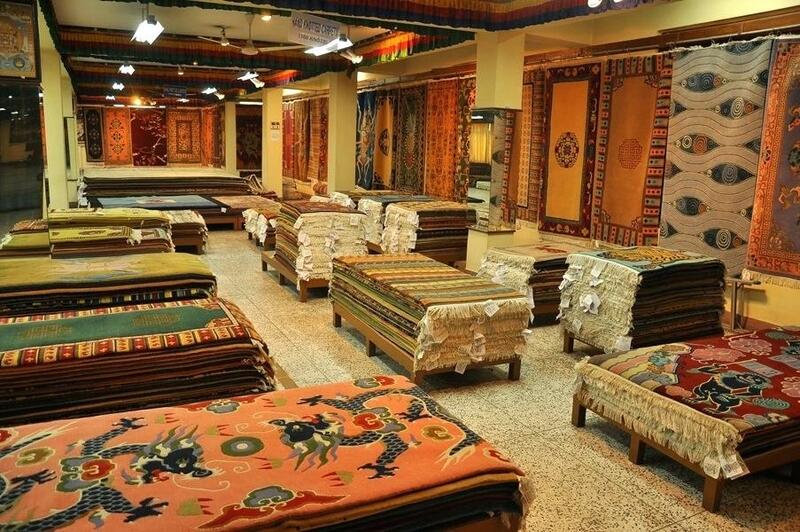 There are a lot of local specialities in Ladakh that you should definitely consider buying when you are here. 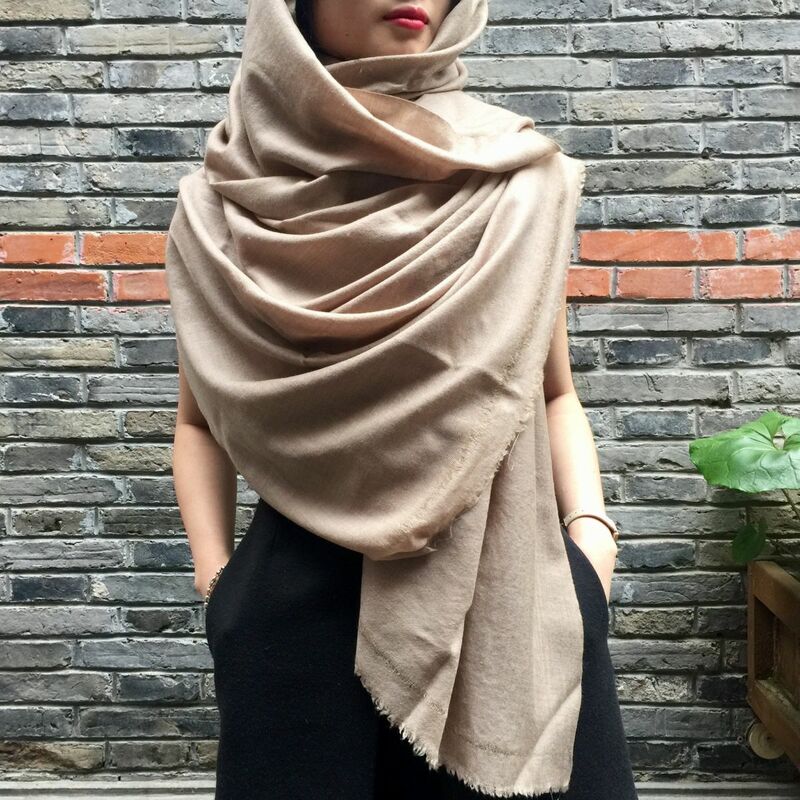 Although Pashmina might come across a commonplace name in India, the region of Ladakh is where authentic, intricately handcrafted Pashmina shawls and garments can be found. You find Pashmina shawls, socks, sweaters, caps, gloves and even jackets that are completely authentic and create by local artisans. You either go haggle in the open markets or go to the handicraft emporiums with fixed pricing, most of which are run by the government. 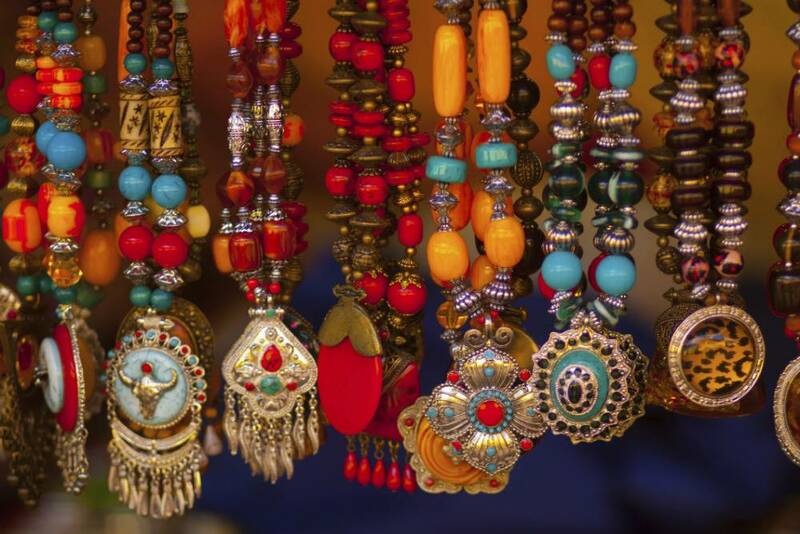 The magnificent Tibetan handicrafts should be on everyone's shopping list. With a wide Tibetan influence in Ladakh, you can find many popular handicrafts in the local markets here including Tibetan prayer wheels, choktse (tables), thangka paintings on silk and Buddhist masks. Traditional Ladakhi ornaments with turquoise that are commonly worn by the locals and Tibetan silver jewellery are also vastly popular among tourists. Ladakhi carpets and rugs are naturally dyed and hand woven with wool in vibrant colours and exotic patterns such as motifs, detailed dragons and floral representations. These sturdy and colourful rugs look great as wall hangings and carpets. Locally cultivated Ladakhi apricots are one of a kind and make for a tasty souvenir for your friends and family. You can also buy fresh apricot jams, apricot oil as well as other organic apricot products. The most popular open market is the Main Bazaar, the chief street to shop for Tibetan goods, Ladakhi rugs and carpets, Tibetan jewellery and handicrafts. 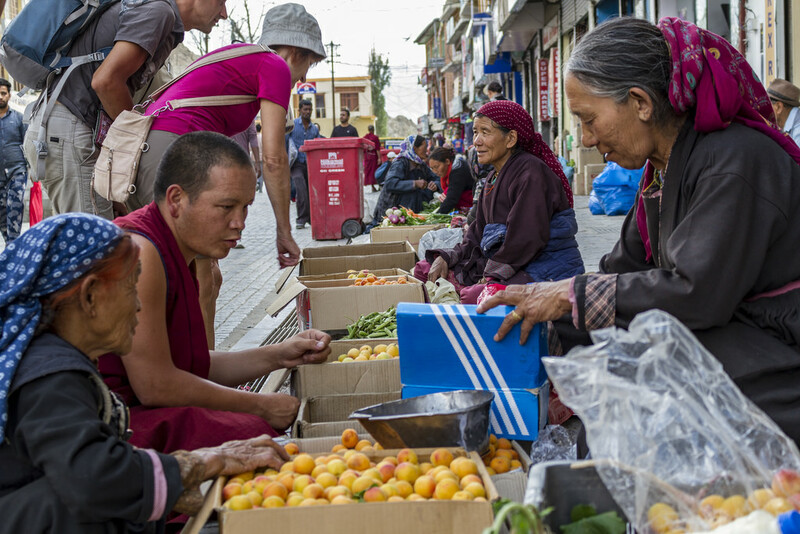 Open markets like the Main Bazaar, Moti Market, and Tibetan Market are places where shoppers could negotiateith the sellers b and bargain wefore arriving at a final price. Shopping in Ladakh is a great way of understanding and exploring the art and culture in Ladakh and contributing towards sustaining them.